Songwriting is an important aspect of being a musician, but Taylor Mathews had a great idea that extended beyond the average songwriter. While on the Hotel Party Tour in in the fall of 2014, Mathews was not only playing in ballrooms or meeting rooms inside hotels but was also playing high schools. As he was meeting with high school students, he thought he could create an individualistic experience for fans right in the comfort of their own homes. Hence the Songs of Summer Tour he embarked on in 2017. The Songs of Summer Tour meant giving fans a behind-the-scenes experience of what goes into the songwriting process and giving them the tools to open up their creativity. Mathews spent the tour teaching people how to get from point A to point B in terms of letting words flow out until they became a finished song. He created a realistic, approachable method that allowed individuals not only to open up to him but to become honest with themselves. It also showed him that songwriting is not about writing something commercial and more about taking it back to the basics. He believes that simplicity is important; the most common and most natural form of songwriting shows as a more human quality. His upcoming EP, Thales, is a specific example of how this experience taught him to say what he wants to say in the most simple and honest way possible. Since a few of the songs were written a year and a half to two years before he began to record them, there was a buffer period for him to digest what he had gone through and give him a better opportunity to appreciate the simplicity. 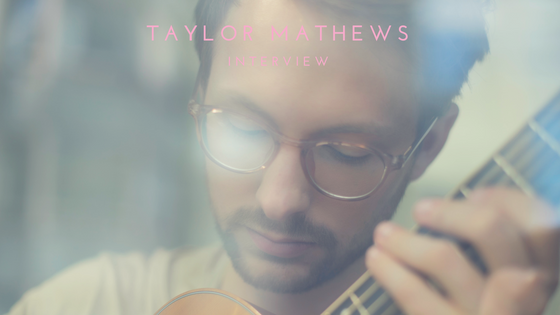 By creating simple yet important dialogue, Taylor Mathews not only paved the way for him to connect to his audience but for his audience to connect back to him. Whether they took part in his tour of songwriting sessions or saw him bring a party to a hotel, they have the opportunity to create a human connection with him. Thales is sure to have the same effect.